One of the perfect Lotus Notes Local Security Remover utility is an authentic solution designed for the removal of local security from Lotus Notes. The NSF Security Remover tool is well-established with advance algorithms that enable the users to overcome security errors in a Lotus Notes database. Removes local security from Lotus Notes NSF file. No size limitation is imposed on the input NSF file. The decrypted file is saved in a user defined location. 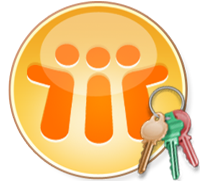 Lotus Notes installation necessary for security removal. Time saving algorithms makes the decryption process fast. Provides support to IBM Notes 9.0 and all below versions. Removes all the errors associated with NSF local security. Has intuitive and user-friendly graphical user interface. The data integrity of the NSF file is maintained as original. The demo version of the software unlocks the NSF file that is provided with it. IBM Notes, formerly known as Lotus Notes, has evolved as a gigantic application since its introduction in the year 1989. The most advantageous factor associated with Lotus Notes is the level of security provided to its users. It offers five different kinds of security for securing its database. Lotus Notes security can be termed as a necessary evil for Notes users. Even though the local security imposed on the Notes database makes the data secure, in case the password is forgotten, the users cannot access the Notes database. In such a situation, the only option is to remove the security completely. Why The Tool is Globally Accepted? Since most enterprises use Lotus Notes as their primary email client, there may arise such scenarios in which the users end up with a secured database without a password. Therefore, deploying NSF Security Remover is the best way to unlock the Notes database. Is there any kind of size limitation imposed on the NSF file? The software imposes no size limitation on the NSF files that have to be unlocked. Will the demo version unlock the NSF files? The software will only unlock the NSF file that is supplied with the demo version of the software in order to give an idea of its functioning. Is Lotus Notes installation necessary for the software to work? Yes Lotus Notes installation is necessary in order to unlock the NSF files.